Teaching your child healthy eating habits begins early. Kids who are involved in the shopping, cooking, and preparing of family meals are more likely to eat more fruits and vegetables and make good food choices in the future (Fruits and Veggies More Matters). Get your kids more involved in the kitchen by taking a look at these 3 tips. When kids are a part of the decision making process, they are more likely to feel included and get involved. 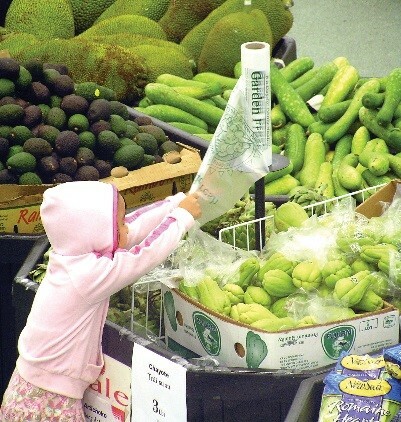 During your grocery shopping trips, allow your children to explore the store and find fruits and vegetables that are interesting to them. Encourage them to try fruits and vegetables that are of different colors, shapes, and tastes. Allowing your child to choose their own fruits or vegetables can help them to eat healthier and develop independence. 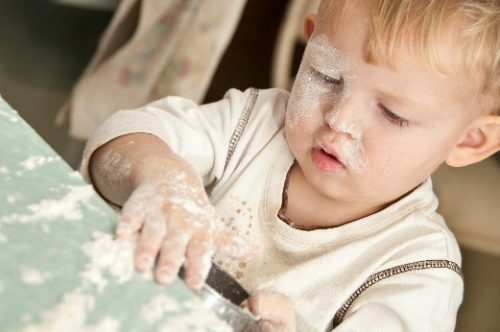 Children of almost any age can help out in the kitchen. One job for younger children, ages (2-5), is to help out with the rinsing and cleaning of fruits and vegetables. 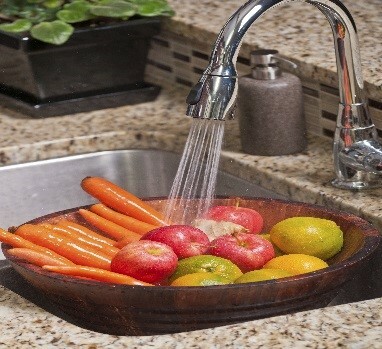 Simply set a plastic bowl inside of your kitchen sink. Next, fill the bowl with the items you need cleaned, and turn on the water. From that point your children will enjoy rinsing the fruits and vegetables and making sure everything is clean for meal time. Allowing your children to practice measuring is a skill that teaches them cooking basics and can improve their math skills. When making a dish that requires a specific measurement, hand your child the measuring cups and allow them to find the correct cup size. Your child may need help in the beginning, so feel free to step in and guide them. Before you know it, your child will know exactly what measurement to use. For more tips on getting your kids involved in healthy cooking, please click here.